Stay in the loop by reading our weekly blog! 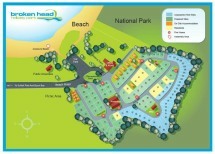 Find out what’s happening in and around Broken Head Holiday Park. Too close to be true, Get Egg-cited! Beach Shacks Opening this Sunday! New Beach Shacks Delivered at Broken Head!